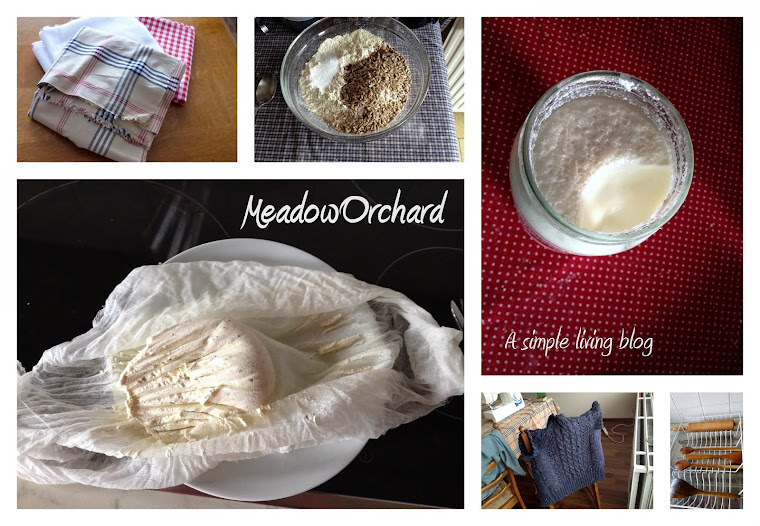 Meadow Orchard: Living well and with style without breaking the bank: "Orchids on your budget"
Living well and with style without breaking the bank: "Orchids on your budget"
After an adventurous year with a new city, new career and many new challenges, I've been reflecting on what simple living means to me now. The importance of living well on a budget, setting money aside to save for future goals and rainy days, is as important as ever. The career move I made last year meant moving to a more expensive city at the same time as taking a significant salary cut in order to 'start again' at entry level. Budgeting has become more challenging. At the same time, the opportunities that this move has offered me in terms of building relationships and seeking new experiences - growing and developing as a person professionally, intellectually, creatively and emotionally - are immense. I want to take full advantage of them, of this moment in my life, but I have even less resources (time and money) at my disposal. Many of the examples, blogs and books I have looked to in the last years demonstrate the importance and value of taking time out of the 'rat race', the value in reconnecting with the slower rhythms of the natural world rather than the rapid movements of popular culture. But much as I am drawn to many of these, and can often find elements to incorporate into my approach, it's hard to get away from the idea that they don't quite fit the moment I am in life. What I am increasingly looking for is a model of simple living that enables me to 'lean in' - follow my professional ambitions, enjoy the best of city life without losing touch with country pleasures, and to live not just inexpensively but also with style. I want to be able to enjoy the high cultures of the city and the sports of the countryside, to present myself well at the office and enjoy feeling chic in my down-time, and to enjoy international travel today without making it impossible tomorrow. Ladies and gentlemen, I have found a book which exactly bridges this gap. Which reaffirms the importance of budgeting, living below your means in order to save, and of exploring inexpensive pleasures. And which also argues it is possible to do all of this, and still have 'orchids', or rather to incorporate some luxuries into your life. 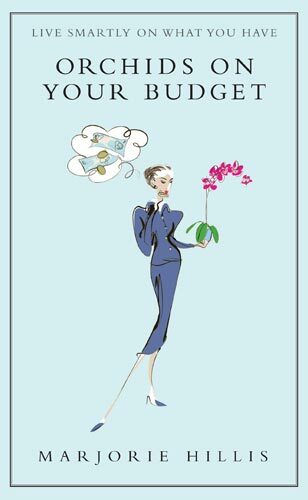 "Orchids on your budget; Live smartly on what you have" was written in 1937, advising the ladies of New York that a reduced income doesn't mean they have to give up all hopes of being well-dressed, of entertaining in style and having the occasional orchids. The author, Marjorie Hillis, was assistant editor of Vogue and seems to have been a fascinating woman. In many ways the advice offered is not new, and will be very familiar to many of us. Focus on big expenditures like what you pay for your home, and prioritise either size or location, but not both. Down-size and declutter as much as you can. Decorate using second-hand items, homemade bits, finds from thrift stores, and make it chic using a simple colour scheme. Look after your clothes, make sure they are properly maintained, cleaned and mended. Learn to cook well using inexpensive, local or seasonal ingredients. The difference is that she focuses on style, panache, glamour. On building a wardrobe that is easy to maintain and chic, for example. She advises reading fashion magazines as you would an exam textbook to distil the key trends and using that to add a few inexpensive touches (eg an accessory rather than a full suit) to a capsule wardrobe so you look up to date without spending much on clothes you won't get much wear out of. Most of all, I loved the tone of the book, the witty and acerbic voice of Marjorie Hillis advising me to make good use of what I have, rather than complaining that I can't have more. My favourite quote is on her advice that everyone should have a hobby, should seek interesting things rather than waiting for them to find you: "Be a Communist, a stamp collector, or a Ladies’ Aid worker if you must, but for heaven’s sake, be something." For another taste of her 'voice', there's a good article on her earlier book "Live alone and like it" here. I enjoyed the independent, forward-thinking approach to women in the workplace - Marjorie Hillis also wrote a guide to 'spare women' on how to 'Life alone and like it', and urges women to see how they can earn something to support themselves or help the household budget go further, whether by going out to work or making use of their skills and resources in the home. One chapter is entitled 'Can you afford a husband?' - her sense of humour is apparent throughout. She argues a lot is in attitude - the importance of enthusiasm, of creating fun for yourself and others rather than dwelling on what you wish you had, comes back again and again throughout the book. It's a fantastic complement to what has been written about slowing down, budgeting and 'making do and mending', but with added glitz. For anyone worried that living on a budget means giving up too much, this is a great source of tips for living glamorously on a shoestring.